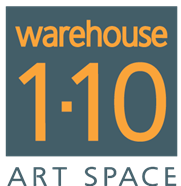 Warehouse 1-10 is a contemporary art space located in Magdalena, New Mexico. It’s mission is to host and provide a support platform for experimental and contemporary art projects. WH 1-10 resides in a 5,000 square feet building, constructed in the late 1800s and is situated on an acre of land. The building was formerly a feed, tack and supply store and it borders the original train route to the end of the stockyard trail. Presently, it houses a gallery and rustic barn-style performance and exhibition space. In addition there is an outdoor studio work space and an Airstream Land Yacht for short term residents. The Village of Magdalena is located two hours south of Albuquerque along the scenic Highway 60 corridor which stretches from Socorro to the Arizona border. The Highway 60 corridor is also home to the Magdalena Ridge Observatory, The Very Large Array and the Dia Art Foundation, Walter DeMaria’s Land Art Installation, The Lightning Field.